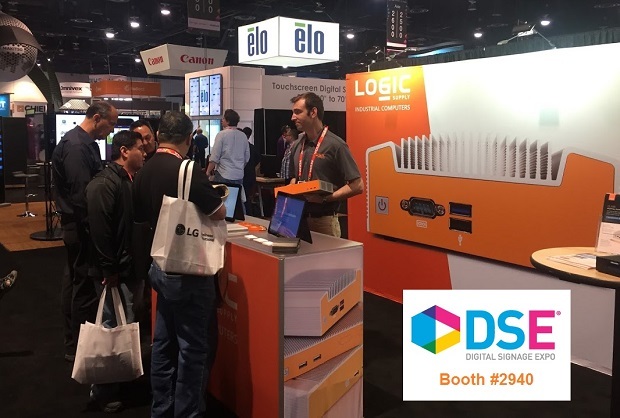 The Logic Supply team is in Las Vegas this week for Digital Signage Expo 2016. DSE is the world’s biggest event for professionals in all areas of digital signage innovation, and the opening day of the expo hall saw thousands of attendees inundated with all manner of technology. For our part, Logic Supply was on hand to talk about digital media player hardware and unveil our brand new ultra compact mini-PC, the CL100. 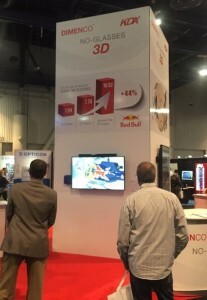 With so many incredible innovations on display at DSE 2016, let’s look at a few of the trends we saw on day 1.
this technology in the digital signage world are obviously huge, and we’re excited to see where it begins to crop up. Digital menu boards have become the standard for restaurants all over the world, offering proprietors the ability to remotely update offerings and effectively merchandise products on the fly. We’ve worked with clients like SmarterSign to enable digital menu board installations in the often challenging conditions of fast food restaurants, bars and cafes. 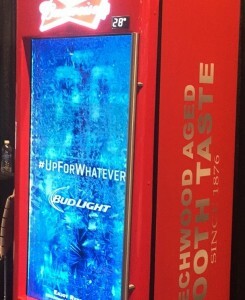 DSE 2016 saw some vendors taking this concept to new heights with integrated signage on beverage coolers, allowing for full HD images and video on opaque glass displays. Single coolers, and large multi-cooler units, were showing full high-definition adds for the products they contained. It will be interesting to see what advertisers are able to do with this technology as it becomes more widely available. They were certainly eye catching on the show floor. With the increasing market focus on small form factor media players, we took the opportunity to debut our new CL100 mini-PC at this year’s Digital Signage Expo. The CL100 is a fully fanless and ventless device that can power triple independent displays and offers 4K resolution support. The folks from rAVe Pubs stopped by and talked to our own Justin Ballard about the new system. The CL100 will be available in May, find out more and sign up for pricing & availability updates here. While they were at the booth, the folks at rAVe Pubs also chatted with us about the Nuvo-2510VTC, a new rugged, efficient in-vehicle system from Neousys. Its automotive power supply and vibration resistance make it ideal for in-vehicle infotainment. See what Will McCue had to say to rAVe Pubs about that system here. Day 1 of Digital Signage Expo 2016 was a whirlwind of activity and amazing conversations with digital signage pros from around the world. We’re excited to see what day 2 holds! Do I Need a Capacitive or Resistive Touchscreen Computer?